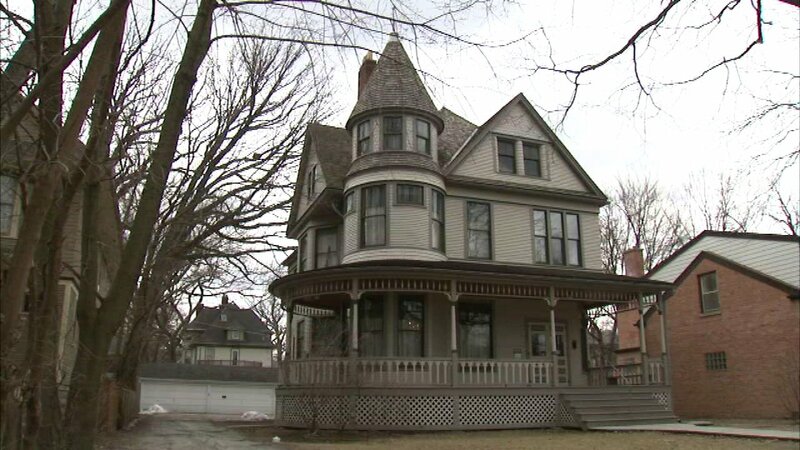 OAK PARK, Ill. -- The Ernest Hemingway Museum, located just a short walk from the home where the author was born, closed its doors Sunday - but the village of Oak Park won't be losing any of its Hemingway history. "We have plans already drawn up," said John Berry, chairman of the Ernest Hemingway Foundation of Oak Park. Berry said the foundation has long planned to improve and update the facilities that house Hemingway's legacy. "We're not going to lose the content of the museum, we're just changing the format a little bit," Berry said. For nearly 30 years, the museum has been the first stop on a 90-minute tour that leads visitors to the Hemingway birthplace home on Oak Park Avenue. But for nearly 20 of those years, the foundation has had a different vision - closing the museum to make way for a new research and writing center on the birthplace property. In the 1990s, members of the Hemingway family suggested creating an education space on the family property - and the idea stuck. The foundation drew up plans for a research and writing center that would provide a learning space, educational resources, room for a bookstore and a venue for receptions, behind the Hemingway home. It will replace a garage which is not original to the home, Berry said. "Instead of having two locations a couple of blocks apart, it would all sit the same piece of land," Berry said. "We've been mulling that over all these years and now it's really time for us to do something," Berry said. The new space, however, will be much smaller than the current museum, and won't be able to hold all the artifacts. "We'll certainly preserve as much material as we can, but we won't be able to accommodate as much as in the current space," said Berry. "But almost everything will still be viewable someplace." Plans are in the works to relocate some artifacts, including moving original movie posters from Hemingway-inspired films to the special collections department of the Oak Park Library. Other items will be put on display at the Historical Society of Oak Park and River Forest, while a large circular exhibit that shows a map of Hemingway's life may find a new home at Oak Park-River Forest High School. As they update their facilities, Berry said he also hopes to make the museum more modern. "We're trying to sort of become a 21st century museum," said Berry. Board member Chris Turner is working on a major update for the foundation's website that will go live this fall and plans are in the works to digitize photos to be displayed in a video format. The foundation expects a fundraiser for the new center to launch by the winter. In the meantime, the family home built in 1890 by Hemingway's grandfather will remain open to visitors.